Adding raw organic hemp seeds to any salad gives it a nutritional as well as flavor boost. Try my favorite Creamy Kale Salad Recipe. Also consider switching your salad oil to hemp oil instead of whatever you’re using now. Hemp is a prime plant based protein alternative to whey, which can acidify the body and create extra strain on your kidneys. 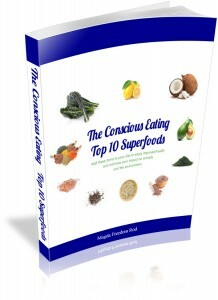 You can use concentrated hemp protein or for a creamier smoothie use the shelled hemp seeds. Here’s my favorite smoothie recipe. Many people start their day with a bowl of heart healthy oatmeal. 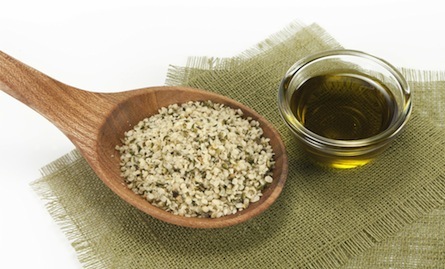 Sprinkle in a couple tablespoons of hemp seeds to up the nutritional value even more, and add a subtle nutty taste. You can also sprinkle hemp seeds in yogurt or any other breakfast cereal. Did you know you can easily make your own raw hemp milk at home? Skip the cartons that have the questionable added carrageenan, and make your own by blending 2-3 tablespoons of raw organic hemp seeds with 4-8 ounces of water. The water to seeds ratio is for you to decide, based on if you prefer a thinner milk, or thicker cream (to replace that unhealthy half and half). Add a sprinkle of cinnamon and a few drops of liquid stevia and vanilla to bring the taste closer to a store bought brand. Make sure to blend the mixture on high for 45 seconds to a minute, preferably with a high speed blender, to fully blend the seeds for a smooth finish. If it’s still too lumpy for you, strain it through cheese cloth or a nut milk bag.You can try adding flax seeds (1/2-1 tablespoon) and even some soaked brown rice. A good rule of thumb to make a quart of milk is 1 cup hemp seeds to 4 parts water. Experiment and see what mixture and consistency you personally like. Store in a mason jar and make fresh every few days and shake it up before pouring. If you’re lucky enough to live in the vicinity of Omega Creamery’s limited distribution area like I am, you can enjoy not only their hemp milk but also their low glycemic vegan superfood ice cream! That’s right! You can make a superfood vegan pesto with hemp seeds! Here’s the recipe. I add this to gluten free pasta, use it as a pizza base instead of tomato sauce, or spread it on flax crackers. Adding more hemp to your diet will not only improve your health, but can help create more demand for this sustainable crop which requires no fertilizers or pesticides, and help the call for (re)legalization. The hemp plant (Cannabis sativa) is one of the earliest known cultivated crops, and it has many uses including textiles, fiber, wood, plastic and fuel alternatives. And no, it won’t get you high or make you test positive for drugs, but it will make you and our precious planet a whole lot healthier.